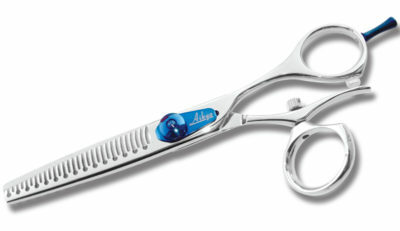 Offset Rotating thumb with convex edge blades and removable finger rest. 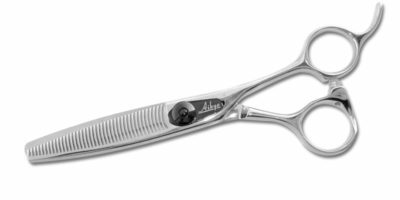 Ideal for stylist with thumb pain. 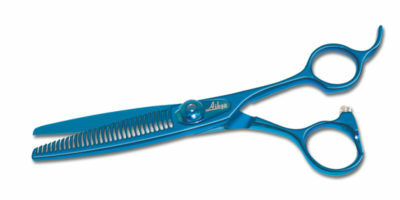 Offset, Rotating thumb, 14 S type teeth texturizer. 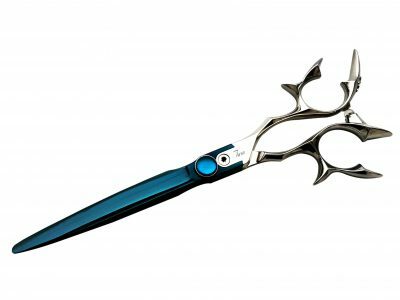 Offset , Anatomic bent thumb with super convex sword blade good for slide or power cutting. 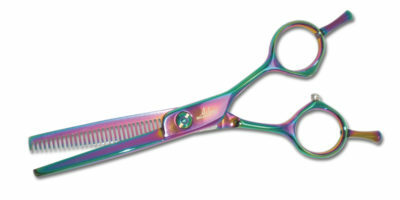 Offset handle style with 35 C type teeth prevent leaving Hair Line. 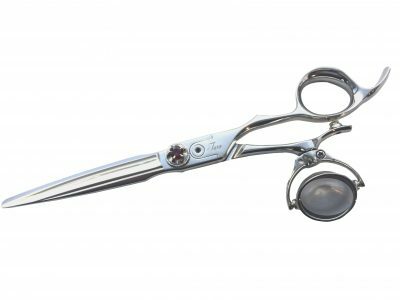 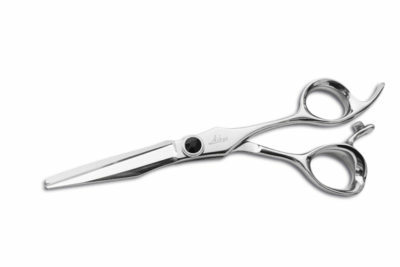 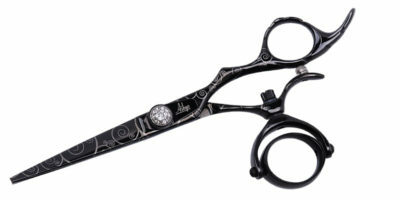 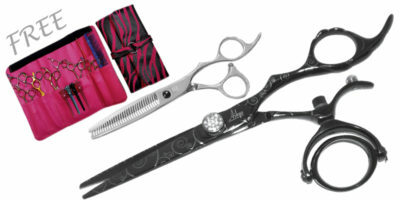 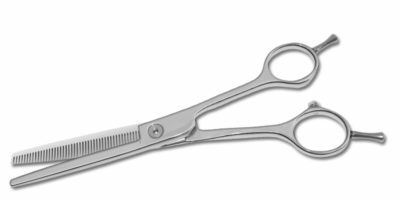 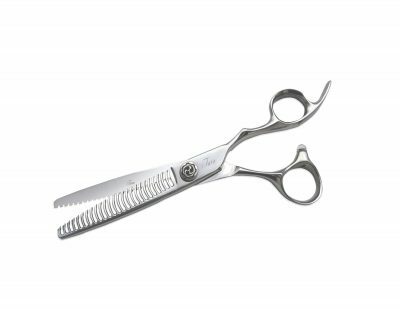 Offset Handle style with 40 C type teeth, Best for smooth texturizing and blending.